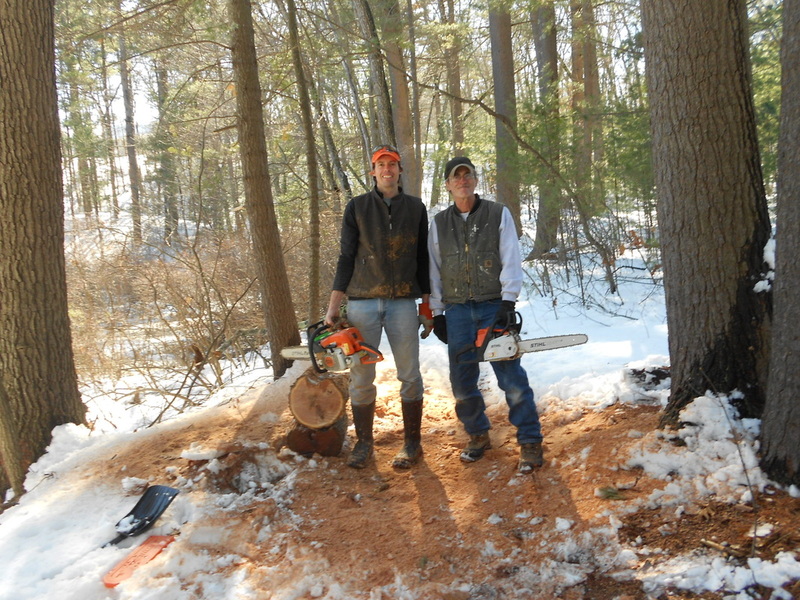 Members of the design team headed out to Gowings Swamp this month to cut "tree cookies" from stumps from trees felled by Hurricane Sandy last fall. 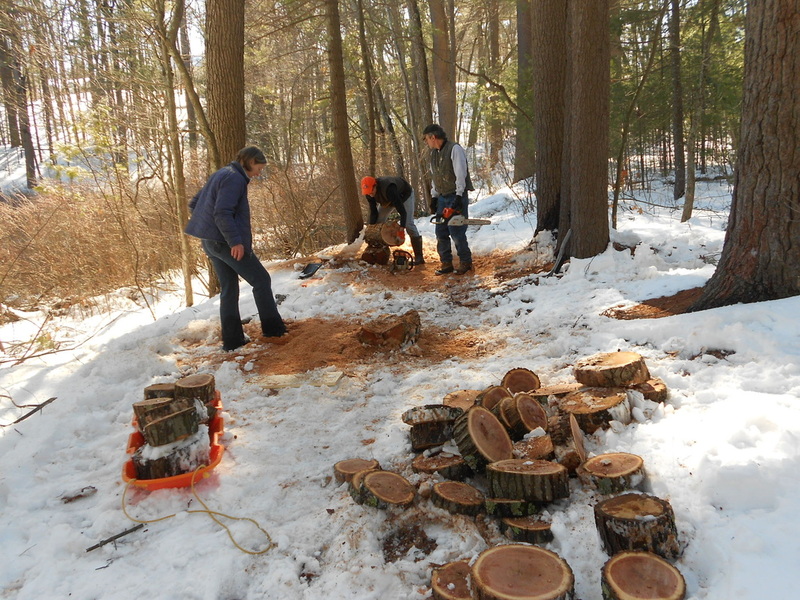 "Tree cookies" are slices of stumps that will be used to form a path in the Playscape. ... and hard at work!